The awesome D666 upstairs at Verftet. Felipe (PROCESSION, NIFELHEIM) joining and doing great! Really good show once again! I got favourite Swedish bands enough for a 10 day festival…PORTRAIT is definitely one of them. Btw, the logo is made by Tyrant of NIFELHEIM. 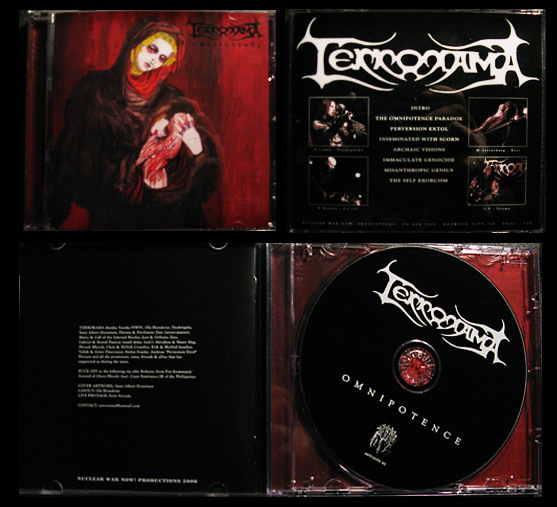 Got a CD from Terrorama the other day. They used some of my livephotos I shooted for about a year ago at Tantogården on the backcover.